"Pray Together" Instruction, written by Father Kevin M. Laughery, is a comprehensive resource offering instructions for each part of the Mass, background, as well as possible homily outlines for each Sunday and Feast Day, along with thoughts for the daily Liturgy, Holy Days and Solemnities. Fr. Laughery generously shares his vast knowledge to better prepare a meaningful and thorough celebration for the Mass. Contains complete Sunday readings to better prepare Celebrants, Lectors and Commentators for their participation in the celebrating the Sunday Liturgy. 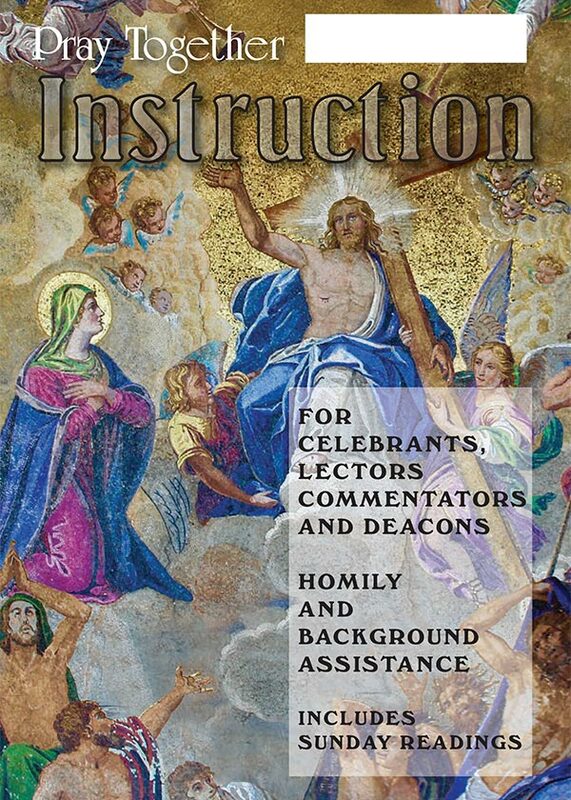 Also includes: Prayers of the Faithful and current tips on the liturgy. Published quarterly, "Pray Together" Instruction is available by annual subscription for our printed or online versions.